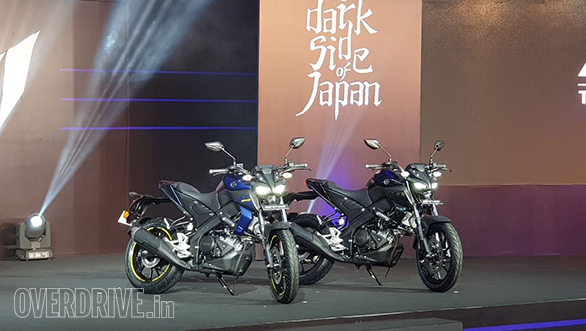 Yamaha India has launched the 2019 MT-15 in India at Rs 1.36 lakh. Based on the YZF- R15 minus the fairing and the MT15 slots below the entry level supersport. The MT-15 is priced Rs 2650 above the FZ-25. 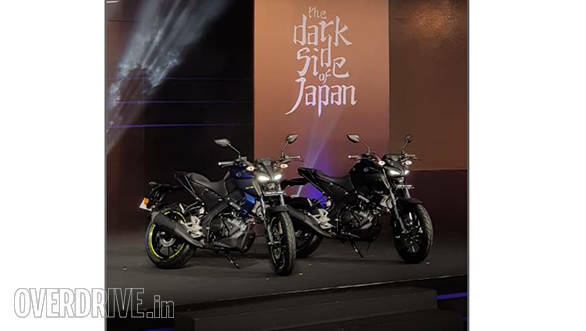 The design is in line with the bigger bikes in MT series of motorcycles that Yamaha sells, like the MT-09 and MT-10. The MT-15's headlamp for instance, has a similar theme and is designed in a three-part layout, with the LED position lights flanking the centrally mounted, single projector beam headlamp. The tank is chunky and has well-defined knee recesses. The seat is a single piece unit and the tail section short. The bike also borrows cycle parts from the YZF-R15 V3 such as the wheels, telescopic fork, and a 282mm disc brake up front. Single-channel ABS is standard. However, in order to keep costs in check, the MT-15 has a box-section swingarm. The lack of a fairing and it's mounting brackets translates to a lower kerb weight as well.